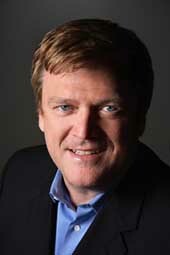 In an article posted by Patrick M. Byrne, Chairman and CEO of O.com of (overstock.com), he describes an ongoing legal battle with Wall Street. For six years Overstock.com has waged a war to expose Wall Street mischief. "We did not go looking for a fight, but our company was attacked, and we learned we were not alone: the same manipulation-for-profit tools that Wall Street had deployed against us had also been deployed against many American companies, harming job creation, innovation, and economic growth. We knew that if left unchecked and unexposed, Wall Street's games could ultimately damage U.S. capital markets. So, in 2005 and 2007 we filed two lawsuits. The first case was against a hedge fund (Rocker Partners) and hatchet-job-for-hire research team (Gradient Analytics), both with ties to Jim Cramer. The second case was against a group of eleven Wall Street prime brokers, culminating in Goldman Sachs. The hedge fund in question (Rocker Partners) hired famed lawyer David Boies, and the prime brokers showed up with an army of the most prestigious law firms in America. Our lawyers were Dore Griffinger, Ellen Cirangle, Jonathan Sommer and Catherine Jackson of Stein & Lubin, a small but excellent San Francisco law firm. We won the hedge fund case against Gradient and Rocker, extracting an apology, a retraction and over $5 million in cash (it felt good to beat David Boies' firm). In our prime broker case, one of the Wall Street banks (Lehman Brothers) has gone under (two, Bear Stearns and Merrill Lynch were sold at fire sale prices), and another seven paid us millions to let them out. Emails show journalist rigged Wikipedia's naked shorts. In an article by Cade Metz, journalist for The Register in San Francisco, it tells how Byrne ran into trouble getting the article published. Patrick M. Byrne wrote an editorial for The Wall Street Journal , warning that widespread stock manipulation schemes - including abusive naked short selling - were threatening the health of America's financial markets. But it wasn't published.
" An editor at The Journal asked me to write it, and I told him he wouldn't be allowed to publish it," Byrne says. "He insisted that only he controlled what was printed on the editorial page, so I wrote it. Then, after a few days, he got back to me and said 'It appears I can't run this or anything else you write.'" The Journal never changed its stance. But last week, the editorial finally saw the light of day at Forbes - after Byrne added a few paragraphs explaining that naked shorting had hastened what could turn out to be the biggest financial crisis since The Great Depression. With a traditional short sale, traders borrow shares and sell them in the hope that prices will drop. A naked short works much the same way - except the shares aren't actually borrowed. They're sold but not delivered. By the middle of the summer, these unresolved "stock IOUs" - as Byrne calls them - were pilling up in four Wall Street giants already struggling to stay afloat: investment banks Lehman Brothers and Merrill Lynch and mortgage finance companies Fannie Mae and Freddie Mac. On July 12, the Securities and Exchange Commission issued an emergency order banning naked shorts in a host of major stocks, and all four of those names were on the list. The order expired in mid-August, and in the weeks since, Lehman Brothers has filed for bankruptcy, Merrill Lynch vanished into Bank of America, and Fannie and Freddie were seized by the US government. Then, on September 17, the SEC issued a new order meant to curb naked shorting of all stocks. "These several actions today make it crystal clear that the SEC has zero tolerance for abusive naked short selling," read a statement from SEC chairman Christopher Cox. "The Enforcement Division, the Office of Compliance Inspections and Examinations, and the Division of Trading and Markets will now have these weapons in their arsenal in their continuing battle to stop unlawful manipulation." In the wake of the SEC's crackdown, the mainstream financial press has acknowledged that widespread and deliberate naked shorting can artificially deflate stock prices, flooding the market with what amounts to counterfeit shares. But for years, The Journal, and so many other news outlets, ignored Byrne's warnings, with some journalists - most notably a Forbes.com columnist and former BusinessWeek reporter named Gary Weiss - painting the Overstock CEO as a raving madman. Byrne has long argued that the press dismissed his views at least in part because Weiss - hiding behind various anonymous accounts - spent years controlling the relevant articles on Wikipedia, the "free online encyclopedia anyone can edit." "At some level, you can control the public discourse from Wikipedia," Byrne says. "No matter what journalists say about the reliability of Wikipedia, they still use it as a resource. I have no doubt that journalists who I discussed [naked shorting] with decided not to do stories after reading Wikipedia - whose treatment [of naked short selling] was completely divorced from reality." As recently as last week, Weiss told us he's never even edited Wikipedia. But emails shared with Byrne and The Register show that Weiss has in fact edited the encyclopedia's article on naked shorting. And they indicate he's behind an infamous Wikipedia account known as "Mantanmoreland," an account that - with the backing of the site's brain trust - ruled the articles on naked shorting, Patrick Byrne, and Overstock from January 2006 to March 2008. A single Wikipedia edit also links the Mantanmoreland account to a PC inside the Depository Trust & Clearing Corporation (DTCC). Owned by Wall Street investment banks that may have benefited from naked shorting schemes, the DTCC oversees the delivery of stocks on Wall Street. Click here to see the rest of this article. BEWARE, SENATOR MCCAIN; YOU ARE ABOUT TO BE PALINIZED!